We’ve been making your vehicles shine for over 25 years. 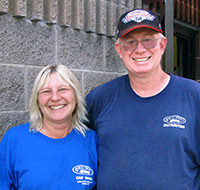 Owners Kent and Cathy Kundert invite you to stop in to any of the four Westwood Car Wash locations. We’re open 7 days per week in Van Wert and Celina Ohio, or Auburn, Indiana at our automatic washes. Try out our self-serve wash location anytime on Washington Street in Van Wert, across from the fairgrounds. When you pull into one of our automatic wash locations, you’re greeted with a smile from one of our attendants. Select from our Basic Wash, Protection Package, or Protect and Shine, and then sit back and enjoy the ride as our conveyor system will thoroughly wash, rinse and dry your vehicle, including a towel dry at the end. New to our Celina and Van Wert locations are Neotech wraps that don’t collect dirt, absorb less water, and are gentle on vehicles. Cleaning your car even better! Tell your friends about us! 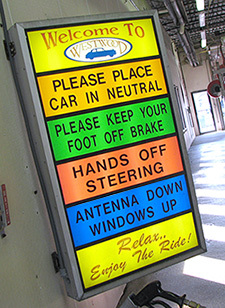 At Westwood Car Wash, we offer daily specials on Mondays, Tuesdays, and Wednesdays. We also have wash books that make great gifts for parents, teachers, friends and family. Remember to clean the inside of your car too with our FREE vacuum use on Wednesdays! Visit our Specials page for additional info. 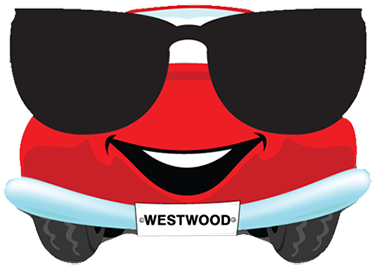 When your friends ask how you got your vehicle so clean, tell them you went to Westwood Car Wash!